Five successful bloggers share affiliate marketing examples that help them make money from their blogging website. Bloggers have proven themselves time and time again showing that it absolutely is possible to make money from a blog by following the best affiliate marketing blog example. Though it’s true that you don’t even have to have a blog to successfully make money writing from home. 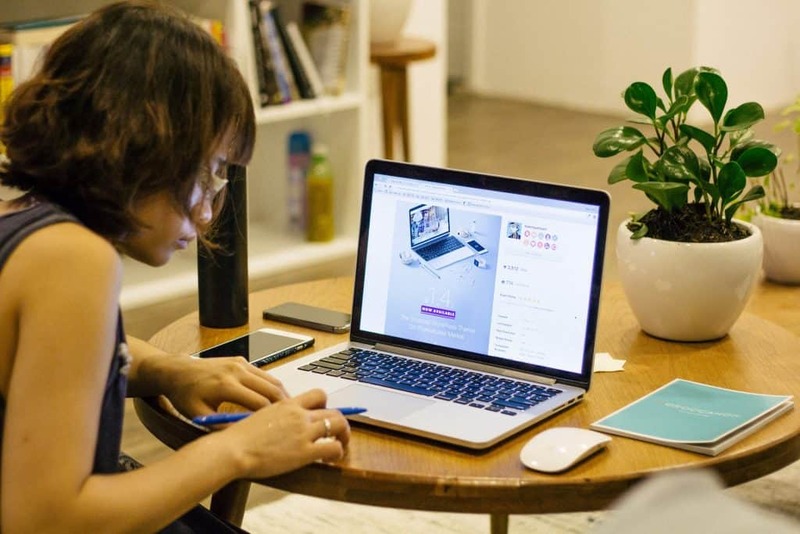 In fact, there are so many ideas for home-based businesses and side hustles that can successfully generate enough money to replace your full-time job. But we’re here to talk about different affiliate marketing blog examples and how they can help you earn a side income (or even a full-time income) from home. Let’s dive right in and answer a few popular questions before we see the affiliate marketing examples that work. Ana, the blogger behind The She Approach, is a successful affiliate marketer. If you need to know where to sign up for the right affiliate programs, grab her master list of more than 500 programs. You would be surprised how many people ask if it’s possible to make money with affiliate marketing. And those who don’t ask this probably don’t even know what affiliate marketing is (we’ll talk about this next). But first, it is a resounding “yes” to the question of whether or not it’s possible to make money with affiliate marketing. Though not every affiliate marketer needs to blog to make money (we’ll save that post for another day), it’s clear that great content from a blog helps multiply affiliate sales. I will show you 5 affiliate marketing examples just below (or you can jump to the examples now). Affiliate marketing is the practice of promoting products or services provided by 3rd party companies in exchange for a commission. There are even some programs that will pay small fees for traffic referrals or signups for free trials or to email lists. Basically, anything your affiliate wishes to pay for, you can promote. After a preset period of time or a minimum sale threshold, the affiliate will issue payments to its affiliate marketers. This is a fantastic way to get into soft sales without ever touching products or providing a service. The following affiliate marketing examples come from five different bloggers who are in different stages of their blogging experiences. The dollar amounts shared do not represent their total incomes, but rather a portion of their affiliate marketing income only. All of these bloggers make significantly more than the amounts shown. Yes, it’s possible to make money blogging! Carly Campbell with Mommy On Purpose has consistently earned $2,400 dollars each month from her mom niche blog with affiliate marketing alone. She earns additional affiliate marketing in other niches, but her “mom blog” relates well to many new bloggers on the internet. Carly created an online course that teaches bloggers how to start affiliate marketing and how to succeed. 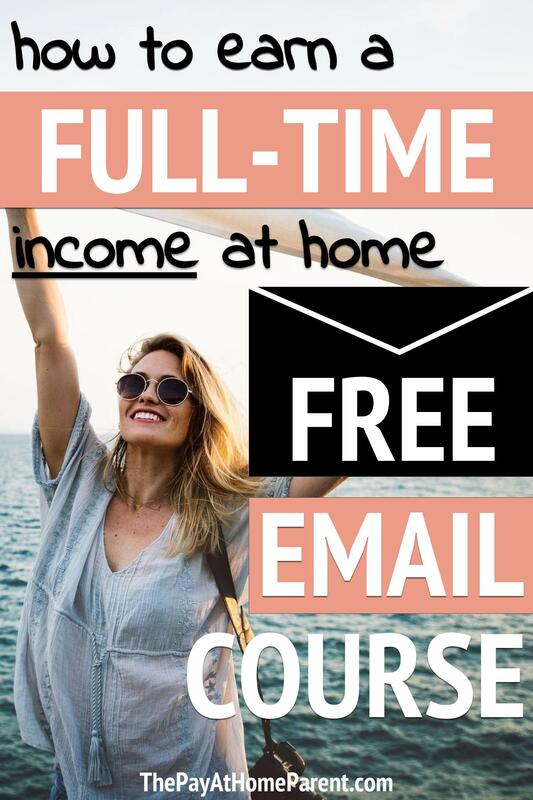 She is one of the only successful affiliate marketers I know to have created a course that is not focused on blogging about blogging. Using real “mommy blog” examples, Carly proves that her methods work! Carly also published an all-encompassing Pinterest Strategies eBook for bloggers who wish to see big results and gain traffic from Pinterest. Affiliate marketing will only work when you have some traffic to your blog. So if you have yet to cross that threshold, I highly recommend Carly’s affordable resource. She used this strategy to grow her blog traffic to 200,000 visitors per month from Pinterest alone! Also, Tailwind is a social media scheduler that helps you stay consistent on Pinterest and gain new readers every day. You can try Tailwind for free to see if it works for you. Marie from Ladies Make Money Online is another successful affiliate marketer that has agreed to share her affiliate marketing example with us. She dives into the type of blog post that makes her the most money every single month. I have been blogging for just less than 2 years and I am now making a full-time income from my blogs (I have two). I am in the personal finance lifestyle blog. My most popular affiliate marketing examples are those that focus on one specific affiliate product at a time. One post that I am consistently making a sale on has a payout of $100 per referral. I created an epic post describing the benefit of joining the program (using as many pain points as possible), giving social proof where I could, a step by step tutorial of the program and the results! This is a no-brainer for the person reading the post. The post is typically promoted on Pinterest, where I create multiple images leading to the post. I then link to this post from my other blog posts where relevant and this has proven to convert well. I get about 60-70 thousand pageviews on my blog per month, but a lot my sales come in when I email my list of just fewer than 5,000 subscribers! I promote this post at least once a month to my subscribers (without spamming) and earn about $700 per month from it. Debbie Gartner from The Flooring Girl has learned to harness the power of Amazon – without handling product! That’s what makes affiliate marketing with Amazon such an attractive way to make money. Here is the affiliate marketing example that Debbie has agreed to share. I have several Amazon articles that do well and consistently deliver $100-$400 each month. Collectively, my Amazon earnings are $1,600-$2,400/month leading to about $24,000 on an annual basis. My niche is hardwood flooring and home décor. They rank on page 1 of Google (so traffic is higher quality). They solve a need and question my target has (and it’s related to my niche). The title often shows higher user intent (e.g. The best X for Y). I’ve been blogging since 2010, and I know how to do SEO well. I’m still fairly new to monetization (started 21 months ago). The key articles that deliver Amazon affiliate income have been written in the last year or so, as I’ve learned how to monetize better. My domain currently has a DA of 55 and I get 250,000-300,000+ pageviews/month. Interestingly enough, I had similar earnings on Amazon when I had a lower DA and fewer pageviews (just 175,000). I don’t know how many pageviews all of my Amazon posts have, but the main ones that deliver nice income probably vary from around 1,000 – 6,000 pageviews per month each. It looks like it’s mainly 10 articles driving these sales. Crystal from Mommy Is A Wino also shares her affiliate marketing example using Amazon. Her main source of income is from using ad networks, but she knows the importance of diversifying income and has agreed to share her experiences! I started my mommy lifestyle blog a little over a year ago. About 7 months ago I started focusing heavily on affiliate marketing with Amazon. I created new posts geared toward recommending products that are available on Amazon. The majority of the products that I sell are low price range products like office supplies. The game changer for me was putting up recommended products lists on some of my older posts. Sherri with Italian Polish Momma has hardly been blogging for a year now and has one of the best affiliate marketing examples to share. She makes money affiliate marketing with Amazon. This is an example of a new blogger and just goes to show how important it is to keep pressing on in order to see results down the road. I have consistently made money through Amazon and a few other affiliates from my motherhood/parenting blog posts. In my first 3 months of blogging, I was able to make $100! I do have freelance writing and social media experience along with a strong sales background which I’m sure helped move things along quicker. I wrote what I personally needed answers to as a mother, as a writer, and as a woman. Which products would be best for other moms and save them hours of researching and reading reviews online. This was gold to me as a parent, since I know what it’s like to not have any spare time! I really wanted to write for my audience and help them answer the questions that I once had and show them what products have helped me and my family. My top affiliate posts happen to be the “how to” posts or real life personal examples that I went through. Health products for kids and products I used myself to help me through this crazy motherhood journey! I now earn between $400-$500 a month just from my affiliates. Every month that my pageviews increase, obviously so does my affiliate income! I’m hoping to make at least $700 per month from affiliates by the end of the year. Finding the time to blog is incredibly hard with my other job and 3 kids but I’m not giving it up anytime soon! Start a blog with SiteGround hosting for only $3.95 per month. That's less than the cost of one specialty coffee! If you’ve been blogging as a hobby and only now realize from these affiliate marketing examples that you can make money from your blog, you’re in a great place! If you don’t have a blog yet, that’s okay too. It’s very easy to get one started. Once you have a blog setup, signup below to the best affiliate programs so that you too can make money affiliate marketing! The Amazon affiliates program is probably one of the most popular available because so many people know and trust Amazon. If you can use your blog posts to get the right products in front of the right audience, then Amazon could make you thousands of dollars per month. Ebates is a free app (yes free) that allows you to earn cash back on almost any online purchase. Signup with Ebates, give it a try with your next online shopping trip, and then promote the heck out of it – because I know you’re going to love it and you can honestly share your great experiences with it! Shareasale is a platform that brings hundreds of different companies together in one place for bloggers like you and me to choose from. Etsy, Dollar Tree, Tailwind, Wayfair, Grammarly and Namecheap are just a few options on their long list of affiliate programs available. Sign up for Shareasale for free and start promoting! 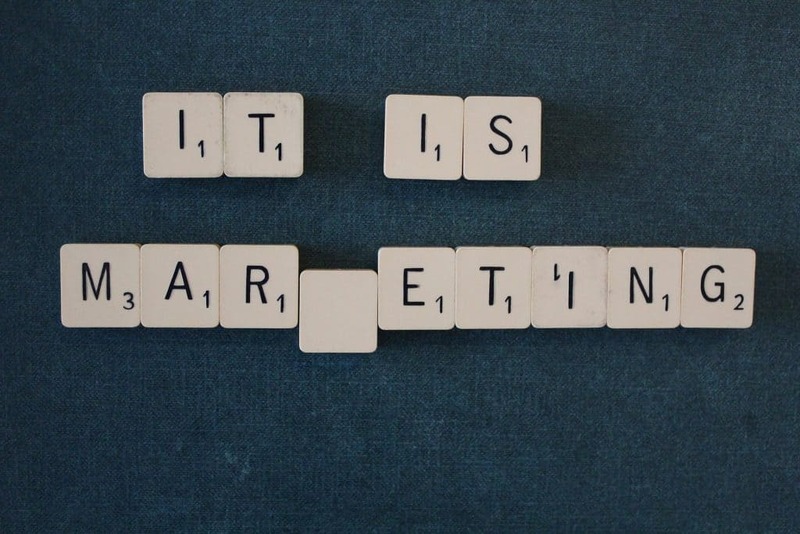 If you are new to affiliate marketing or you’ve been at it for years, I would love to hear about your affiliate marketing examples in the comments below! As you grow your blog and business, don’t forget to take the time to learn from other successful affiliate marketing websites. Affiliate marketing is not rocket science, and you don’t need to “reinvent the wheel.” You can literally learn everything you need to know from other successful affiliate marketers! Thank you so much for lending your time so that we can learn more about affiliate marketing together. I look forward to hearing all about your personal affiliate marketing examples! Thanks for the article! It has useful information! Recently I started learning about online jobs and I’m really excited because I started my own blog. I have no experience and knowledge on how to build a blog but it’s really interesting! Yesterday I saw an article and it seems really honest. If you can check it out and give me your opinion I will be thankful! I will start right now following your tips! Andreas, thank you for stopping by! You will definitely want to get content on your blog because without it, there will be no traffic. Choose a niche that you are passionate about and have knowledge on. You definitely don’t need to talk about making money online in order to make money online. Just like Carly teaches in her course! Thank you for such great content.